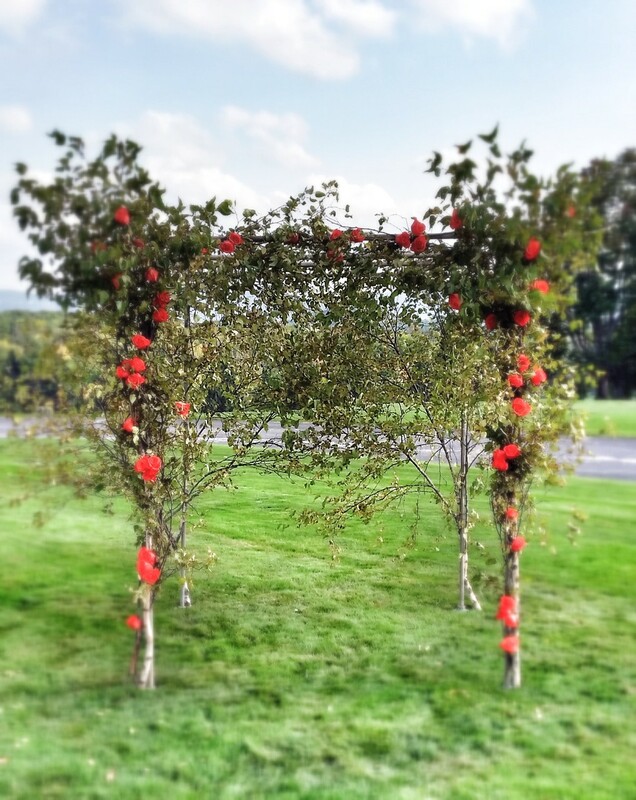 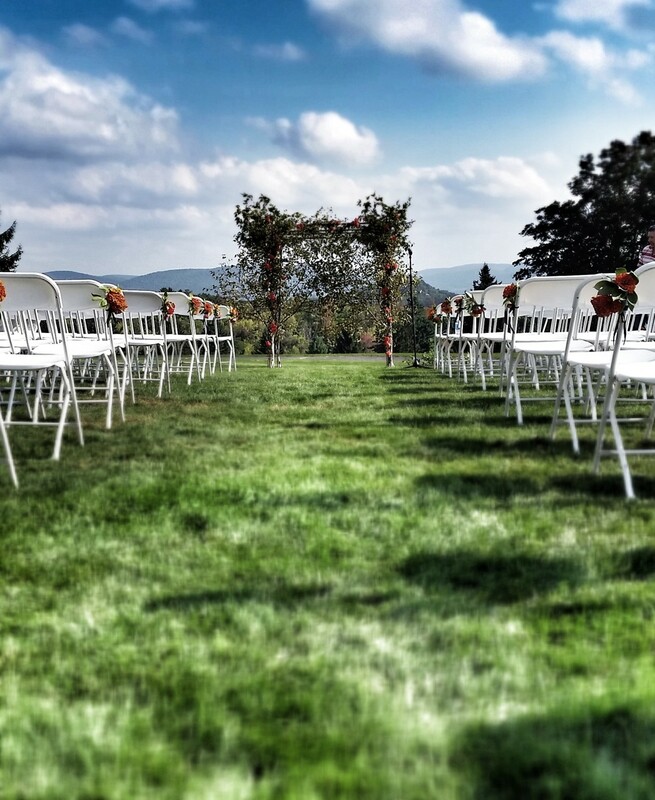 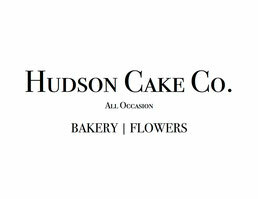 Wedding at Cranwell Resort & Golf Club, MA - Hudson Cake Co.
Our final wedding of the 2014 season was with the fabulous and indefatigable Lisa Light of Destination Bride and Chelsea Wells of Bella Blooms. 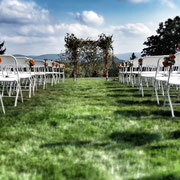 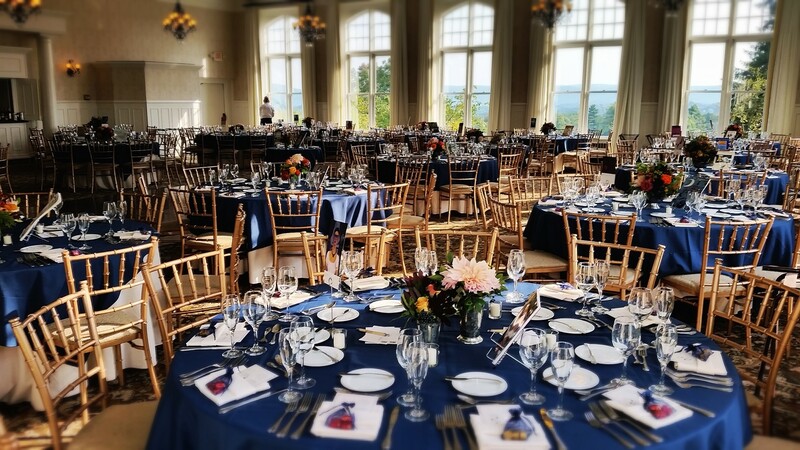 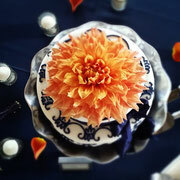 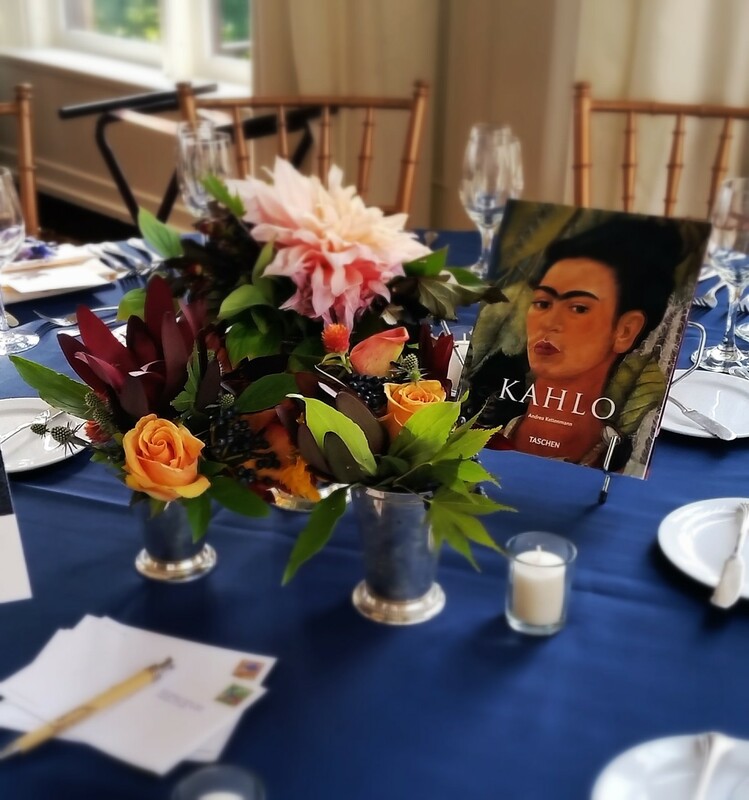 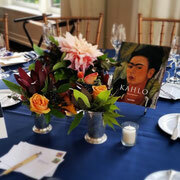 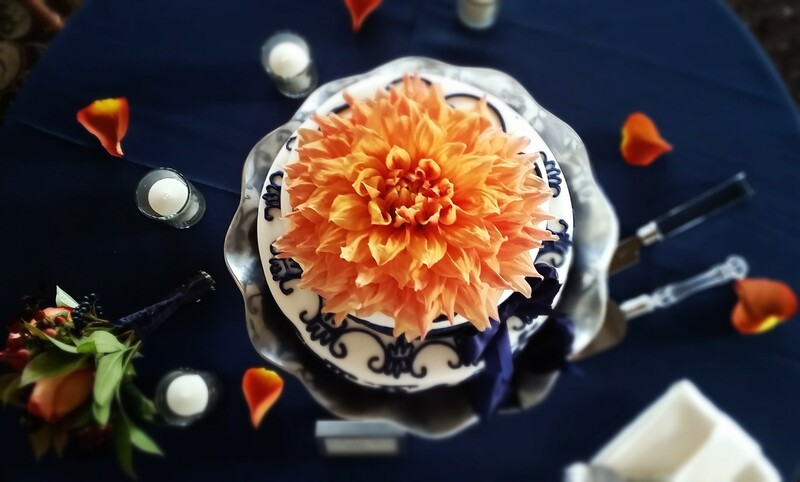 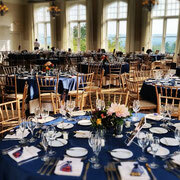 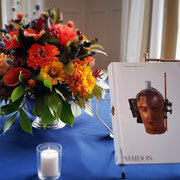 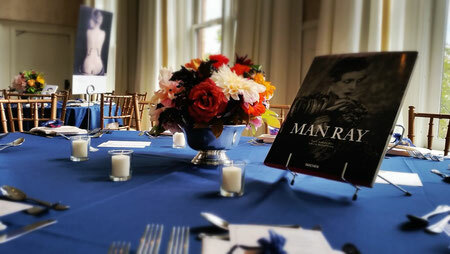 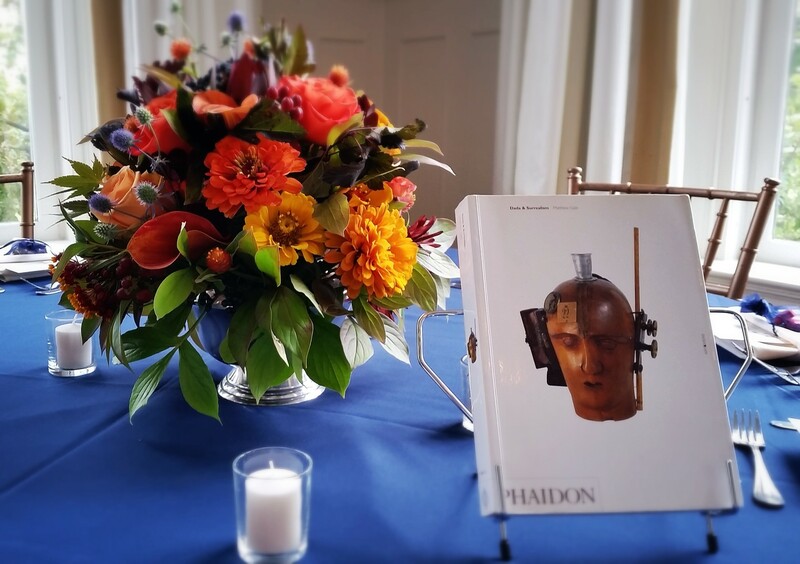 A blue and orange themed wedding for two art lovers, it was held at Cranwell Resort & Golf Club in Lenox, MA. 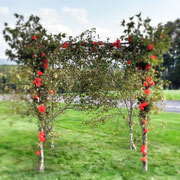 Contructing the chuppah proved to be challenging both from the unusually brisk winds and the wayward strokes of nearby golfers who were around at the time we were setting up!